Health and Risk Communication provides a critical and comprehensive overview of the core issues surrounding health and risk communication from the perspective of applied linguistics. 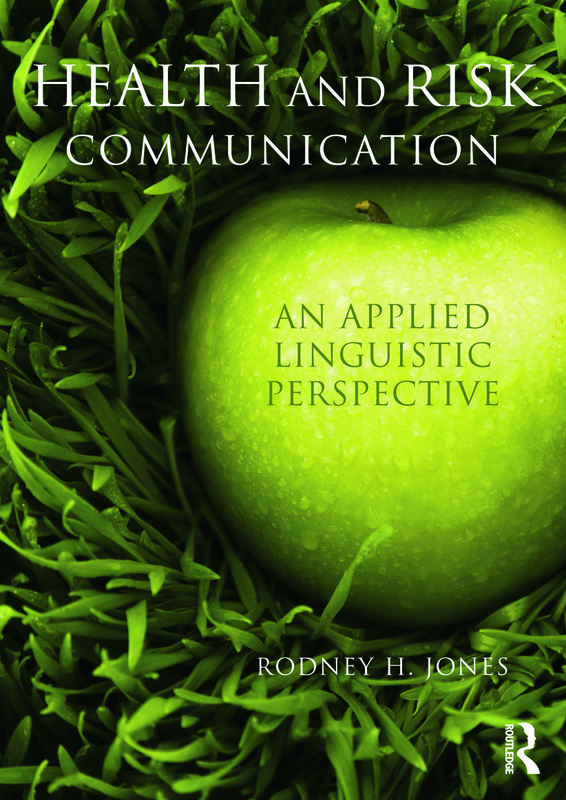 It outlines the ways applied linguistics differs from other methods of understanding health and risk communication, assesses the benefits and limitations of the approaches used by different scholars in the field, and offers an innovative framework for consolidating past research and charting new directions. How are the everyday actions we take around health constructed and constrained through discourse? What is the role of texts in influencing health behaviour, and how are these texts put together and interpreted by readers? How are actions and identities around health and risk negotiated in situated social interactions, and what are the factors that influence these negotiations? How will new technologies like genetic screening influence the way we communicate about health? How does communication about health and risk help create communities and institutions and reflect and reproduce broader ideologies and patterns of power and inequality within societies? Health and Risk Communication: An Applied Linguistic Perspective is essential reading for advanced students and researchers studying and working in this area.